A chain of cinemas in the East of England has folded, following an especially poor year of business. Hollywood Cinemas was forced to appoint administrators from insolvency practitioner Parker Andrews, having closed the majority of its theatres while citing a number of films had performed poorly in recent months. Norfolk’s Hollywood cinema chain has fallen into administration after some 30 years in business, with two of the three theatres closing immediately. Sites in the sea-side town of Great Yarmouth and East Anglia’s largest city, Norwich, saw doors shut – putting more than 28 largely part-time jobs at risk. The Norwich venue has served as something of a community hub to cinema goers, having previously hosted the international premiere of Alan Partridge film Alpha Papa in 2013, and the Norwich Radical Film Festival in 2016. Meanwhile, the Great Yarmouth venue was refurbished in late 2017, receiving new seats and screens in a move which the chain’s Director, Trevor Wicks, hailed as “a vote of confidence” in the facility, reportedly suggesting to local press that things were looking up in the town. However, the poor trading conditions which dogged the wider economy throughout 2018 seem to have taken a toll on the cinema chain. In a statement confirming the appointment of administrators in February 2019, Wicks cited a plethora of factors as having done for the company. These ranged from the ‘Beast from the East’ winter storms which ravaged the UK early in the year, to the heat wave that replaced it months later, as well as a World Cup campaign which kept potential cinema-goers glued to a different set of screens, as demand for tickets fell. Speaking to the Evening News, Wicks also noted that high levels of competition (while Great Yarmouth has the one cinema, Norwich hosts three other chains to rival Hollywood Cinemas), and that a succession of films which performed poorly in recent months. 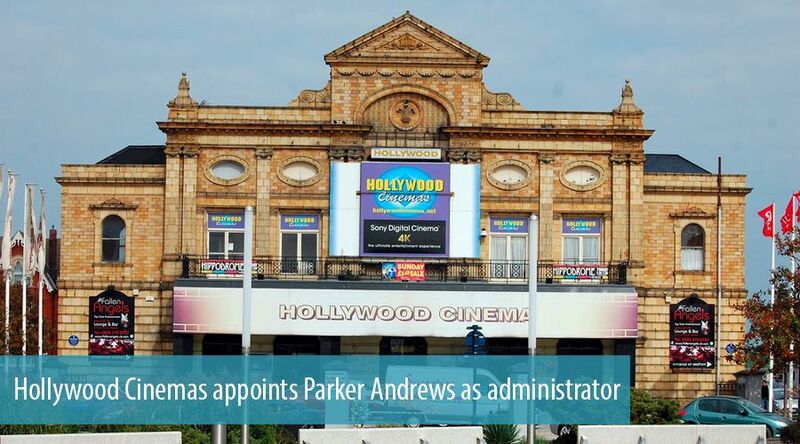 As a result, administrator Nick Cusack of Parker Andrews will now look for offers to sell the Great Yarmouth and Norwich theatres to continue trading under new ownership. The chain’s Dereham venue has already been purchased. Parker Andrews is a professional services firm which specialises in insolvency, business recovery and turnaround procedures. Focusing largely on work in the southern half of England, the firm provides solutions to help individuals and businesses in financial stress from offices in Cambridge, Ipswich, Norwich, London and Portsmouth. Related: UK box office top 10 sees musicals challenge Hollywood blockbusters.